My mini Lop rabbit will be a first time mom this Saturday. She is huge and should have a large litter. I put the nest box in today, day 28, and came out later to find the hay and everything thrown out of the nest box. My other mini lop is also due and made an outstanding nest. I redid the nest and she hopped in and started doing the same thing. She sits in the nest box and digs and moves hay a lot but hasn't pulled fur. I am afraid she doesn't know what to do. How can I help her? What can I do to prevent babies being born on the wire? Thanks! She might not know what to do, but what's more likely is that she is a picky nest-builder. Some does just fuss over the process, and it's okay. Hopefully in the morning she'll have made a decent nest. The fur-pulling frequently happens only when the birth is imminent. If she pulls everything out and tries to put it into a different corner, then move the nest box over there. Lastly, there's always a slight chance she is an airhead, and there's not much you can do to 'fix' that. 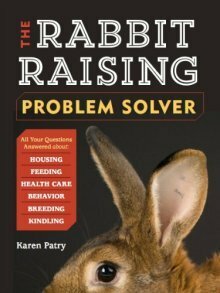 Comments for Rabbit nesting troubles? If any bunny of yours ever does not pull fur just take some gently from her belly and around the thighs. Yep, that'll work. However the majority of does do not pull fur in advance, but during the kindling process. Keep it in mind, play it by ear, and don't forget that the option to 'help' the doe by obtaining fur from her underside is available, if the doe does not pull enough to cover the kits.